Anyone got any pictures or ideas of what i can do ? Really looking at making this a project gun so any help would be appreciated as its my first project. I bought this gun a few days ago, i am currently going for full ris at the moment. This is my first post so sorry if this doesn't work, but here is a picture so far. I am casting my own RIS rails (using a master mold of an old standard M4 i had from years ago) and adding them out along the foregrip. I have only added one at the bottom just to test it's strenght, and after a whole day of skirmishing, i am now going to cast the RIS rails that are attached to the gun, make 3 more, and add them for a full ris rail. I will then put the covers near the bottom. Internally, i think i will change the wiring for silver plated or something, maybe add a mosfet, mainly as this is my best rifle i have every bought and i'd love to prolong it's life. 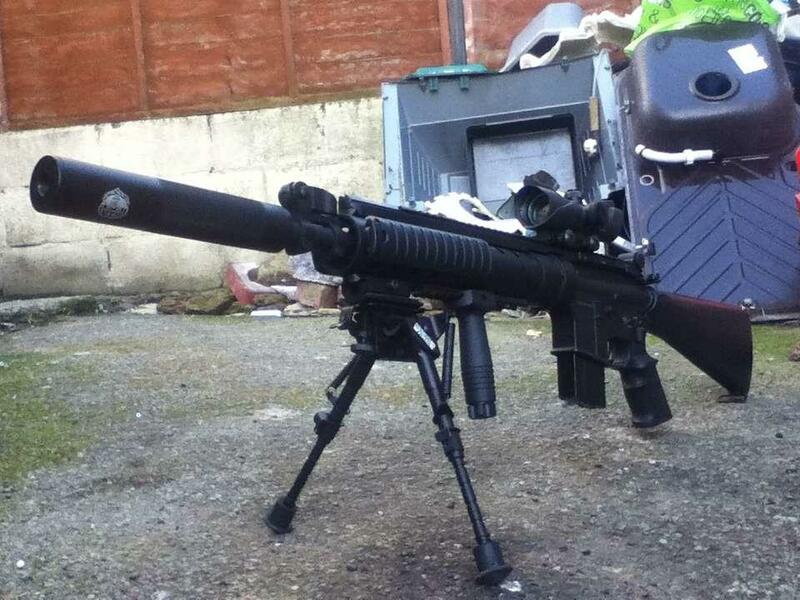 One question about your Mk12, do you have trouble with putting the mags in sometimes? Like it's not just straight in and locked, you have to fiddle with the mags to sometimes get them in? I am having a minor problem with that, bit annoying, the tube where the mag feed connects to the gun (the plastic tube feed) moves a little aswell? Just my 2 cents lol.